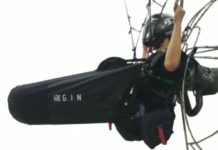 Gin has improved this harness, claiming it will make you feel safe and in control, and enjoy more your flights. 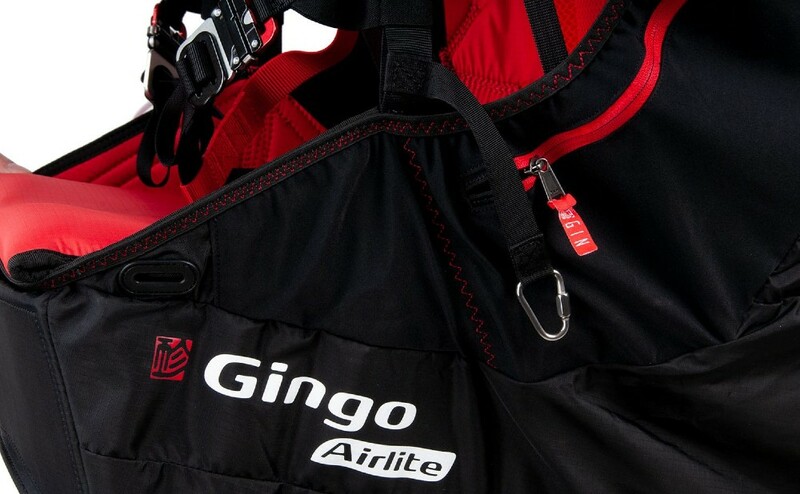 Gingo Airlite 4, new version of the light harness from Gin.. 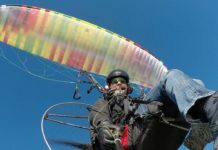 GIN test pilot and World Cup Champion Michael Sigel has taken part in the development of this harness, and he ensures i”It’s comfortable, light and offers good protection” The lightness has been improved thanks to the use of the GIN Triplex seat plate, that allows it to be 500 gr lighter than the previous model, giving the Airlite 4 a weigh of under 3 kg in 3 of its sizes. 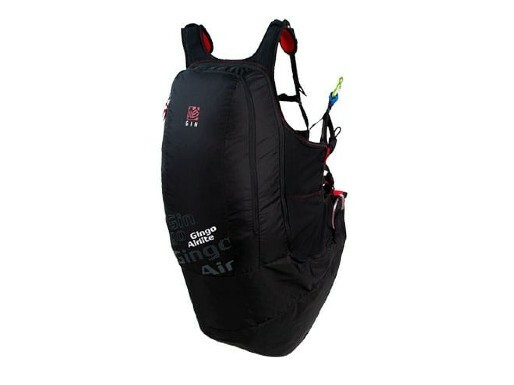 Safety has also been improved, because the Gin Airlite 4 airbag provides, according to Gin, shock protection values of around 20G. 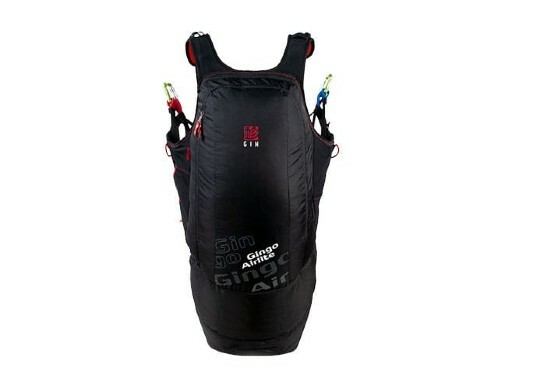 It features a pre-inflation system that ensures full protection from the take-off. 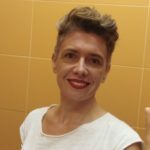 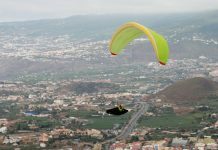 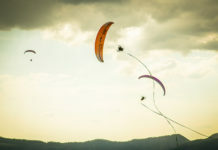 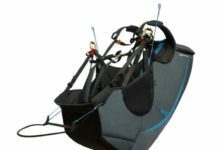 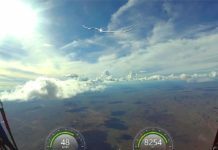 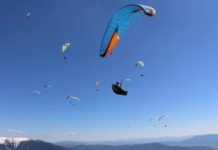 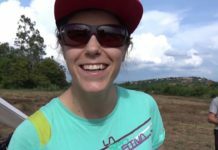 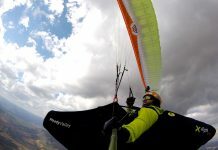 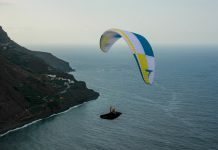 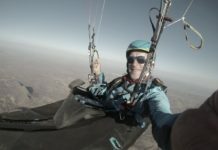 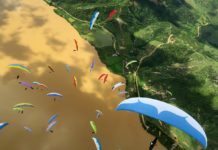 Gin says that the new shape of this harness makes it very easy to use, both on the ground and in the air, and its compact design and light weight enables it to be easily packed. 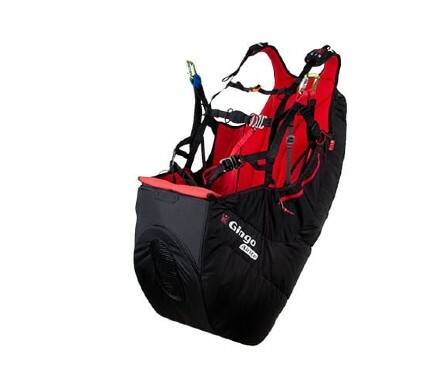 It features multiple pockets for different uses, under-seat rescue container, and is delivered with Gin carabiners, rescue handle and rescue Y-bridle. 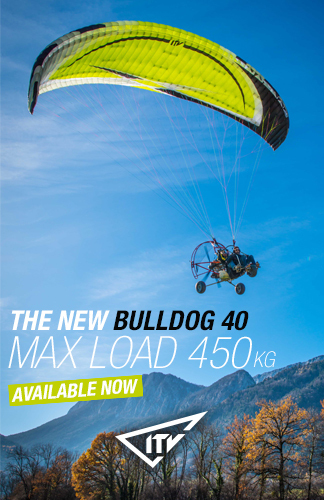 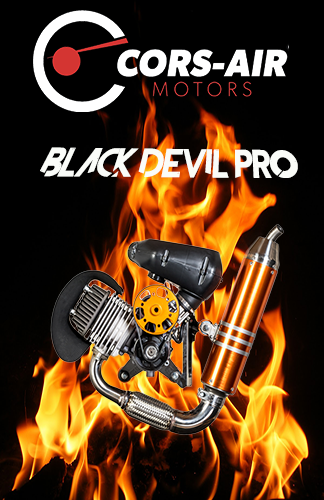 It is available in 5 sizes, covering pilots up to 185 cm tall, and showing weights between 2.4 and 3.3 kg.